These chicken gyro lettuce wraps are a quick and easy gluten-free lunch option. 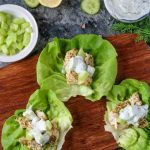 Plus, there’s a dairy-free tzatziki sauce included in this recipe that perfectly finishes off these lettuce wraps! These chicken gyro lettuce wraps are the perfect on-the-go lunch to take to work. Chicken gyros are my favorite, and this lettuce wrap version does not disappoint. They also incorporate my dairy-free, homemade tzatziki sauce which is SO. GOOD. I like to throw these into my lunch container and take them to work, super easy and yet super delicious! These chicken gyro lettuce wraps are also meal prep friendly. You can make a batch of the tzatziki sauce and store in an air-tight container in the refrigerator. Then, cook up a batch of the greek chicken and also store in an air-tight container. Simply take out what you need when you’re ready to pack your lunch for the day. Cook up a batch of the greek chicken from my Paleo Chicken Gyro recipe. Mix up a batch of the dairy-free tzatziki sauce from that same Paleo Chicken Gyro recipe. Use butter lettuce leaves or romaine hearts as the wrap. Primal Palate’s Greek Seasoning is my absolute favorite. If you’re unable to find this one, any greek seasoning will work. If you’re unable to find butter lettuce leaves, romaine hearts will work just fine. Enjoy these other gyro recipes! A quick and easy gluten-free lunch with these chicken gyro lettuce wraps. 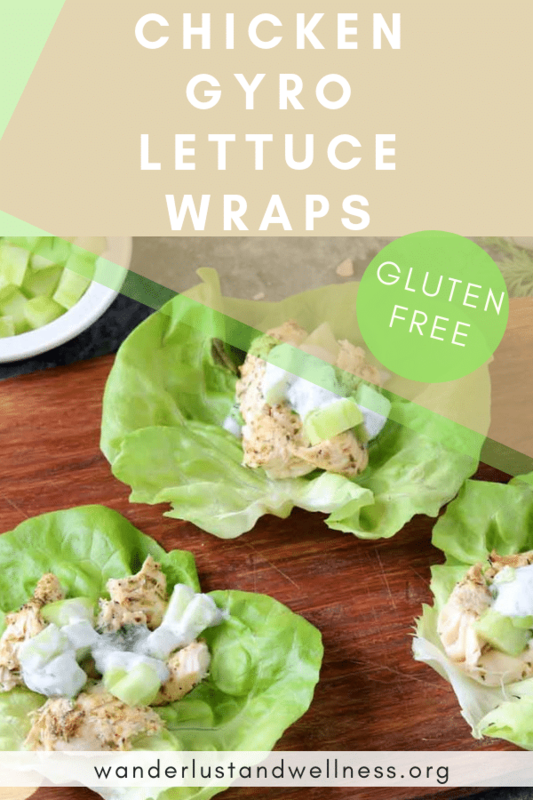 Plus, there’s a dairy-free tzatziki sauce included in this recipe that perfectly finishes off these lettuce wraps! Add all ingredients for the lemon chicken into a large, Ziploc bag and marinate overnight (or for at least 4 hours). While the chicken is marinating, prepare the tzatziki sauce. Add in the cucumbers and refrigerate until ready to serve. Grill or sauté the chicken until cooked through. 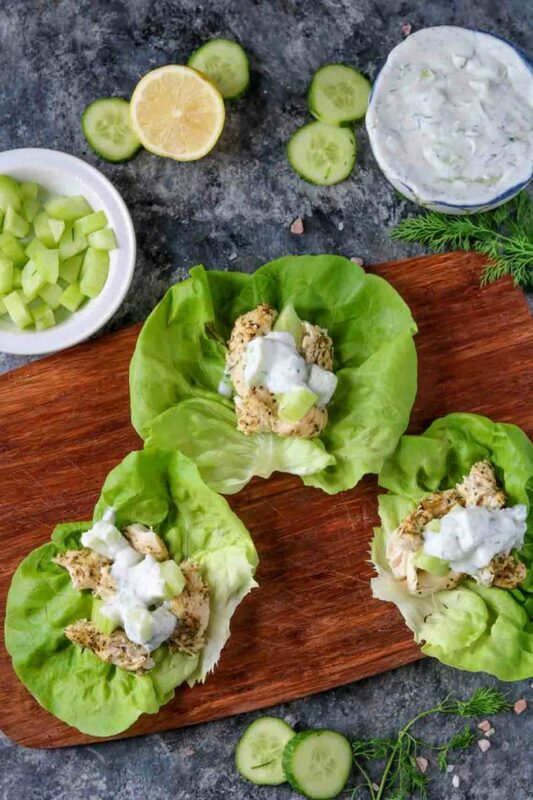 If ready to serve, assemble your wrap using the butter lettuce leaves, add chicken tender(s) and top with tzatziki sauce.